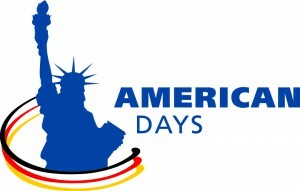 US Income Tax Clinic - Deutsch-Amerikanisches Institut. Haus der Kultur. For the ninth year in a row, the DAI Library is offering Tax Clinics for filers of US Income Tax returns. These events are open discussions to which you are invited to bring your individual questions and concerns and where you can receive answers and tips from an experienced U.S. tax advisor, as well as share with other participants your own knowledge and experiences. Previous clinics have been quite informative, with a lively exchange of information, viewpoints and techniques. Individual discussions immediately after the clinic are possible. Parents of US children are particularly encouraged to attend, to find out if you may be missing out on a valuable US tax benefit potentially worth up to $1,000 per child per year, even if you owe no taxes. Due to a sharp increase in popularity, the clinics will be held this year on four different Saturdays from 11:30 to 13:30 in the DAI Library: February 8th, March 1st, April 5th and May 17th. The clinics are free of charge, but pre-registration is required.